International History of East Asia seminar. Michael Thornton, Yale University: 'Justice on Japan’s Northern Frontier: Ethnicity and Empire in Nineteenth-Century Hokkaido and Sakhalin'. Tommy Yui Chim Lo, University of Oxford: '"Era of Asian Resurgence”: China, India and Post-war Asia, c. 1945–1949'. This talk first looks at the strategies Chinese NGOs employ domestically to survive and operate in an advanced authoritarian institutional environment. It will suggest that state and NGO interactions in China are often muted not solely due to the state restricting the sector, or the state’s fear of a potential opposing actor. Instead, the evidence suggests that a lack of interactions can be attributed to organizational differences and insufficient knowledge by both parties. In fact, once the requisite knowledge is achieved by the state, they will have a stronger desire to interact with NGOs, with the caveat they will seek to harness the material power of NGOs, rather than their symbolic, interpretive or geographical capital. The talk thereafter poses the analytical query: what happens when Chinese NGOs that are born and socialized in such a domestic environment, are now 'going out' to other jurisdictions with similar or varying political and economic regime types, and institutional environments? The talk suggests Chinese NGOs are yet to make a substantial impact in their host jurisdiction, irrespective of regime type. In fact, domestic politics and regulatory frameworks in host nations have constrained the involvement of Chinese NGOs. Fieldwork evidence from Africa and Southeast Asia suggests Chinese NGOs’ presence is generally temporary, and often involve one-off projects. Insofar social organizations will play a role, they will be in the domain of government-organized NGOs rather than (independent) NGOs. Nevertheless, the talk will suggest that the hyper-internationalization of social organizations will foster an equally hyper-pluralized global civil society that will beg us to rethink our understanding of salient precepts and operations in international affairs. Reza Hasmath is a Full Professor in Political Science at the University of Alberta. Prior to this appointment he was a faculty member at the Universities of Oxford, Melbourne, and Toronto. 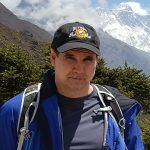 His award-winning research is currently supported by various multi-year grant schemes, notably from the Social Science and Humanities Research Council of Canada, and Chiang Ching-kuo Foundation. His recent journal articles appear in the Journal of Social Policy, International Political Science Review, Voluntas, Development Policy Review, Journal of Civil Society, The China Quarterly, Current Sociology, and the Journal of Contemporary China. The content of popularly printed books under the Qing dynasty provides a window on common concerns as well as publishing practices. Printed to be sold cheaply and widely, works such as almanacs, divinatory handbooks and primers of basic knowledge were designed to appeal to audiences of varying literacy and needs in competitive social and religious environments. Not valued by the collecting elite and often sold as short-term consumables, such popular works survive only in small numbers, predominately as scattered volumes in collections outside China. Each work represents a snapshot of the possibilities of personal belief and commercial choice. Content was never static, but nor was it wasted, the same material often shifting between works of different genres. The interplay between genres and content demonstrate how the vagaries of compilation could create new meaning for existing material. Comparison across various genres at the same period provides an insight into the divisions of information in popular understandings. Similarly, examining change among works in a single genre – or at least similar genres – over decades and centuries may provide a guide to shifting popular needs and changes in the demarcation of knowledge. This presentation will consider the intertextual nature of popular works and the ramifications for publishing, literacy, and everyday life. Nathan Woolley is a lecturer at the University of Glasgow. His research focuses on religious practice and regional identity in pre-modern Chinese society. He curated the exhibition ‘Celestial Empire: Life in China, 1644–1911’, held at the National Library of Australia in association with the National Library of China which focussed on print culture under the Qing dynasty. It has become almost an article of faith that China's rise is destined to produce confrontation, it not outright conflict, with the west. But there is hope amidst the gloom. China's transition to an innovation- and services-driven economy will require fundamental institutional and political reforms which are likely to produce greater convergence with those of the west. At the same time, global public goods like climate change mitigation and disease prevention remain powerful impetuses for multilateral cooperation, and the development of new technologies like autonomous weapons and gene editing call for a new phase of norm-creation to rival, if not exceed, that which produced the Geneva Conventions and other fundamental elements of the international order. This talk will lay out an optimistic scenario for China's role in the world, and explore how it might be given the greatest chance of coming to pass. Scott Moore is Director of the Penn Global China Program at the University of Pennsylvania, a new initiative focused on understanding emerging challenges facing China and the world, including climate change, artificial intelligence, and gene editing. Moore’s own research focuses on environmental issues, especially climate change and water scarcity. His first book, Subnational Hydropolitics: Conflict, Cooperation, and Institution-Building in Shared River Basins (Oxford University Press, 2018), examines how climate change and other pressures affect the likelihood of conflict over water within countries, and his other research and commentary has appeared in Nature, Foreign Affairs, The China Quarterly and The New York Times among other outlets. Moore was previously a Young Professional with the World Bank Group and Environment, Science, Technology, and Health Officer for China at the U.S. Department of State, where he worked extensively on the Paris Agreement on climate change. 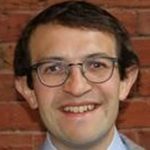 Previously, Moore was Giorgio Ruffolo Post-Doctoral Research Fellow at the Belfer Center for Science and International Affairs at Harvard University. He holds DPhil and MSc degrees from Oxford, where he was a Rhodes Scholar at Merton, and an undergraduate degree from Princeton. Many commentators claim that China's ongoing global rise reflects a restoration of its earlier international prominence, while others highlight that China's emergence reflects distinctive characteristics of the country's current political leadership. In his new book, Making China Modern, Klaus Mühlhahn of the Free University of Berlin provides a panoramic survey of China's rise and resilience through war and rebellion, disease and famine. 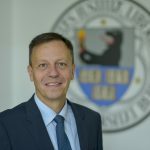 At this talk Professor Mühlhahn will focus on the lessons from history that provide insight into China's evolving international position and how the Europe, the US and others should respond. Klaus Mühlhahn is Professor of Chinese History and Culture and Vice President at the Free University of Berlin. His Criminal Justice in China: A History won the John K. Fairbank Prize in East Asian History from the American Historical Association. Mühlhahn has published widely on modern Chinese history in English, German and Chinese, and is a frequent commentator on China for the German media. 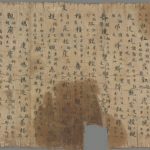 Among recently unearthed Warring States bamboo manuscripts – in particular the grave-looted manuscripts of Chu purchased by the Shanghai Museum 上博楚簡 – there are a number of texts in which we find Kong Zi, Confucius, portrayed in dialogue with important ministers and disciples, each offering, in contrast to what we find in the Lunyu 論語, relatively sustained discourse on some aspect of ethical governance. While not necessarily revealing anything about the historical Kong Zi himself, these texts nonetheless give us interesting glimpses into what was likely being debated by his followers in the 4th Century BC. 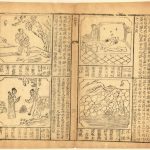 This talk will focus on three of those manuscript texts – ‘Kong Zi Had Audience with Ji Huanzi’ 孔子見季桓子, ‘Ji Kangzi Asked Kong Zi’ 季康子問於孔子, and ‘Zigao’ 子羔 – presenting a new reading of each text and a discussion of what each may have to offer in terms of better understanding the evolving debates in which the followers of Confucius were involved over the course of the Warring States period. 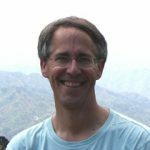 Scott Cook 顧史考 received his PhD in Chinese from the Department of Asian Languages and Cultures at the University of Michigan in 1995, and spent the next eighteen years teaching at Grinnell College, where he served as Cowles-Kruidenier Chair of Chinese Studies. Since 2014, he has served as Tan Chin Tuan Professor of Chinese Studies at Yale-NUS College in Singapore. He specializes in pre-Qin textual studies and early Chinese intellectual history. His publications include The Bamboo Texts of Guodian: A Study and Complete Translation, vols. 1-2 (Ithaca: Cornell East Asia Series, 2012), The Pre-Imperial Confucian Texts of Guodian: Broad and Focused Perspectives (Guodian Chujian xian-Qin rushu hongweiguan 郭店楚簡先秦儒書宏微觀) (Taipei: Xuesheng shuju, 2006), A Multi-Perspective Survey of Lost Warring States Texts among the Shanghai-Museum and Other Chu Manuscripts (Shangbo deng Chujian Zhanguo yishu zonghenglan 上博等楚簡戰國逸書縱橫覽) (Shanghai: Zhongxi shuju, 2018), and over seventy articles in English and Chinese. International History of East Asia seminar. Y.J. Hwang, University of Pittsburgh: ‘Border Crossing and the Shaping of an Imagined Citizenship: The Case of Korean Picture Brides’. Kanako Kuramitsu, University of Birmingham: ‘Sino-Japanese Children Born During and in the Aftermath of the Second Sino-Japanese War (1937–1945): their Experiences and Identities’. 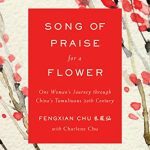 Charlene Chu will talk about the book she has co-published with her 94-year-old cousin, Fengxian Chu. Oxford Seminar on Visual Culture in Modern and Contemporary China. A variety of gender-related relationships — between sexism and nationalism; women, the body, and the nation; manhood and nationhood — have emerged in Chinese popular entertainment in recent years, revealing an interesting yet little explored side of Chinese nationalism in the contemporary context. Nationalism reflects an essentially masculinist world view. The rhetoric and norms of masculinity and femininity are closely linked with kinship and family, which in turn constitute the foundation of the nation. Analysis of male and female images in Chinese television programs therefore introduces important gendered issues to contemporary discussions of globalization and Chinese nationalism in response to the limitations of existing studies on Chinese nationalism in the West, which focus primarily on the political dimension and understand such nationalism as a form of one-way indoctrination and propaganda from the top rather than a 'structure of feeling' arising from an array of complementary motivations. Through the lens of gender and sexuality in Chinese television, the paper unravels the links between the state agenda and popular imagination/expectations to reveal the ambition and anxiety associated with popular sentiments about China’s rise. Geng Song is Associate Professor in the School of Chinese, University of Hong Kong. He has written extensively on issues such as men and masculinities in China, Chinese television and Chinese nationalism. 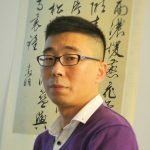 Among his publications are The Fragile Scholar: Power and Masculinity in Chinese Culture (HKUP, 2004); Men and Masculinities in Contemporary China (co-author, Brill, 2014); Chinese Television in the Twenty-First Century (co-editor, Routledge, 2015); The Sound of Salt Forming: Short Stories by the Post-80s Generation in China (co-editor, Hawaii UP, 2016); The Cosmopolitan Dream: Transnational Chinese Masculinities in a Global Age (co-editor, HKUP, 2018) as well as a number of articles in such journals as Modern China, The China Journal and Asian Studies Review. He co-edits a book series on 'Transnational Asian Masculinities' for Hong Kong University Press. He is currently working on a project on gender politics and nationalism in Chinese television. A recently discovered oracle bone archive from Henan province provides a coherent and unified picture into what things caused happiness for a man of royal pedigree in 1200 BC Shang China. Prior to this discovery we lacked a systematic and detailed account based on primary sources of what caused people happiness at this time and knew basically nothing about what caused happiness for people other than the Shang kings. 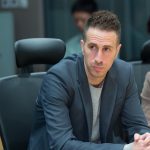 Dr A C Schwartz is the Associate Director of the Jao Tsung-I Academy of Sinology, and Assistant Professor in the Department of Chinese Language and Literature, Hong Kong Baptist University. He holds a PhD degree in East Asian Languages and Civilizations (Chinese) from the University of Chicago, and his ability to work comparatively is a result of advanced training at the Oriental Institute. He formerly served as Visiting Assistant Professor at New York University (ISAW) and Visiting Research Fellow and Specially Appointed Language Instructor at Yale University. He specializes in Early Chinese paleography and manuscript studies, with a concentration on oracle bone and bronze inscriptions, manuscripts, scribal and divination culture, numerology, and Classical commentary. This talk will focus on patterns of protest in Hong Kong during the last three decades or so and the tightening of political controls in the city over the course of the last several years. The presenter, who has been visiting Hong Kong regularly since 1987, will draw on his work as a specialist in the history of social movements and also his observations during his many trips to Hong Kong, including one that took place while the drama of the 2014 Umbrella Movement was underway. In addition to highlighting distinctive features of Hong Kong that set it apart from all other places, the talk will explore some parallels that can be drawn between the city during various parts of its history and other urban centers, including both Shanghai and, more unexpectedly, Berlin. Jeff Wasserstrom is Chancellor's Professor of History at the University of California, Irvine. Problematic sovereignty refers to a political entity with some, but not all, of the trappings of sovereignty. This paper develops a new and nuanced typology of sovereignty before studying the under-explored phenomena of problematic sovereignty on China’s periphery by focusing on the polity of Hong Kong (HK) since 1997. The nuanced typology of sovereignty includes international legal sovereignty in de jure and de facto terms, Westphalian sovereignty, and domestic sovereignty. The empirical analysis of the HK case study is based on a vast array of original data collected from the ground including elite interviews conducted from 2014 to 2018 and ethnographic observations. China has departed from the traditional sovereignty script in HK over the course of the negotiations leading up to the Joint Declaration, which provides the foundation of the implementation of the 'One Country, Two Systems' in post-1997 HK. Despite its partial violations of international legal, Westphalian and domestic sovereignty, which has resulted in the HK Special Administration Region (HKSAR) government’s embrace of a high degree of autonomy, changes in post-1997 HK in sovereignty terms imply that China is determined to expand its grip on HK in the domain of international legal sovereignty in de facto terms and that of domestic sovereignty. In the latter, China has enlarged its domestic sovereignty at the expenses of that in the hands of HK through the introduction of a series of repressive policies since 2003; this has been made possible via the HKSAR government’s increasing role as the executor of Beijing’s will due to pitfalls in the polity’s institutional designs, and through the National People’s Congress Standing Committee’s power to interpret the Basic Law. However, the continuous protests in post-1997 HK, the emergence of the localist discourse, as well as the ensuing rise of the call for self-determination and HK independence continue to challenge China’s enlarging domestic sovereignty over HK. The changes in China’s attitudes towards HK can be arguably explained by fluctuations in Beijing’s interest calculations pertaining to HK. As HK’s GDP accounted for 3% of the Chinese total in 2015 from 30% in 1997, HK’s importance to China has dwindled over time. With the decreasing interest comes with China’s diminishing desire to make any major concessions regarding HK. Moreover, with the rise of Chinese power in material terms, China has become more and more adamant to the proposal to change the status quo of HK, such as demands to democratize HK through a genuine election of its top leader, that it views as detrimental or threatening to its regime security. As Ghai (2014) puts it, China seems comfortable with a capitalist HK without political rights, and 'it was not capitalism but democracy that threatened the Mainland system and the authority of its self-appointed leadership'. The paper is timely and important as centrifugal tendencies in volatile regions on China’s periphery other than HK may potentially destabilize China as a fledging superpower. Ming-chin Monique Chu is Lecturer in Chinese Politics at the Department of Politics and International Relations, University of Southampton. She gained her PhD degree in international relations from the University of Cambridge. 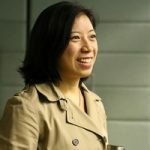 She’s the author of The East Asian Computer Chip War (Routledge, 2013/2016) and the co-editor of Globalization and Security Relations across the Taiwan Strait: In the Shadow of China (Routledge 2014/2016, with Scott L. Kastner). Her articles have appeared in The China Quarterly and China Perspectives. Her research interests include the impact of production globalization on international security with reference to the semiconductor industry, the concept and practice of problematic sovereignty, Chinese foreign policy, Cross-Strait relations, as well as Taiwan’s foreign relations. International History of East Asia seminar. Jamyung Choi, Yanbian University: ‘The Invented Average: University Graduates as a Middle Class in Interwar Japan’. Peter Kwok-Fai Law, SOAS, University of London: ‘Strugglers in the Corporatist State: Maritime Teaboys and the Making of Chinese Working Class Culture in Republican China, 1933–1937’. In the Mao Era (1949–1976), millions of Chinese people experienced social upward mobility, while others were marginalized or lost their lives. Efforts to build a communist society created hopes, dreams, fear, enthusiasm, disillusion, painful disappointments and nostalgia. The Chinese people made great strides, but they also experienced traumatic setbacks. The talk will discuss the achievements and failures related to economic growth, access to basic entitlements, and social mobility and change. Furthermore, the question will be discussed how we are to judge success. On the question of progress in human rights, should we confine ourselves to the CCP’s own goals, or should we instead stress today’s accepted metrics, such as the UN’s Human Development Index? 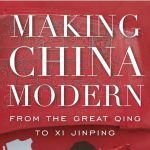 Should we compare the Mao era to pre-1949 Republican China, to the relatively peaceful Nanjing Decade under the GMD before the Sino-Japanese War (1928–1937), to the progress of Taiwan after 1949 or to developments in the Reform era since 1978? Felix Wemheuer is Professor for Modern China Studies at the University of Cologne. He belongs to a new generation of Western scholars who are rewriting the history of Maoist China. 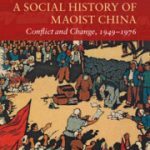 His publications include Famine Politics in Maoist China and the Soviet Union (Yale UP 2014) and A Social History of Maoist China: Conflict and Change, 1949-1976 (Cambridge UP 2019). Between 2008 and 2010, he was a visiting scholar at the Fairbank Center at Harvard University. Known as 'Chaoyang Masses' (chaoyang qunzhong) or Westside Mama (xicheng dama) in popular media, community volunteers are widely reported to have caught drug addicts or exposed underground brothels for the police in the capital of China. Community volunteers are mostly retired women who perform street patrolling in residential neighborhoods. According to official statistics, there are close to two hundred thousand of them in Beijing. Many would call them grassroot governing agents for the party state but grannies themselves speak of their service in terms of contribution and honour. Based on various media representations of these grannies, my own interviews with them, and some netizens online discussion, I explore the interplay between gender, the surveillance state, and mobilization of elderly citizens. I ask how different players, including the police department, television channels often normalize the discourse of security and public order through narratives of gender, race and age. This talk is based on a broader project Ka-ming Wu is conducting on volunteers and urban identities in China. She hopes to understand how volunteering is complexly constitutive to emerging public cultural values, gender and class subjectivities, and nationalist belongings in today’s China. Ka-ming Wu is an Associate Professor in the Department of Cultural and Religious Studies at the Chinese University of Hong Kong. She is currently a visiting fellow at Clare Hall, Cambridge. Trained as a cultural anthropologist, she has taken up extensive ethnographic research to examine the cultural politics of state and society, waste, and most recently, gender and nationalism in contemporary China. Her book Reinventing Chinese Tradition: The Cultural Politics of Late Socialism (UIP 2015) argues how the nature of cultural production in rural China today can be thought in terms of a 'hyper folk', in which ritual practices, performances, heritage, craft productions, and other reenactments of the traditional can no longer be viewed as either simulations or authentic originals, but a field where a whole range of social contests and changes are being negotiated. 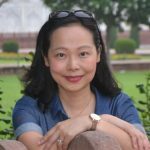 Her co-authored book Feiping Shenghuo: Lajichang De Jingji, Shequn Yu Kongjian (CUHK 2016) (Living with Waste: Economies, Communities and Spaces of Waste Collectors in China) has had a great impact on the public discussion of waste and has received much attention from the media. 'National security' has always played a role in foreign direct investment decisions. Large-scale Chinese investment has, however, served to highlight the question of what the concept involves, as developed countries, the traditional outbound investors, extend or rethink their approach to foreign acquisitions. But is it – or should it be – a concept of unlimited flexibility? In discussing this question, this talk will consider a number of aspects of 'national security' in the context of Chinese outbound investment and investment into China. In particular, it will examine what 'national security' means to China in relation to activities within China, particularly investment and what it means to foreign governments when Chinese companies go abroad: that is, in what way does Chinese investment in particular threaten the national interest or security of a western country? It will also consider in what way and to what extent national security concerns constitute an exception from commitments made to and by China in its free trade and investment treaties and, in particular, whether states have unlimited discretion to define the term. 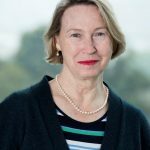 Vivienne Bath is Professor of Chinese and International Business Law at Sydney Law School and Director of the Centre for Asian and Pacific Law at the University of Sydney. Her teaching and research interests are in international business and economic law, private international law and Chinese law. She has first class honours in Chinese and in Law from the Australian National University, and an LLM from Harvard Law School. She has also studied in China and Germany and has extensive professional experience in Sydney, New York and Hong Kong, specialising in international commercial law, with a focus on foreign investment and commercial transactions in China and the Asian region. Many have studied farmland tenure in the post-reform China from a policy making perspective. Yet, the farmers’ cognitions of their land property rights are seldom examined from a policy-taker’s point of view. To fill this gap in the literature, Yiming Wang intends to share some statistical findings and according interpretations, based on a questionnaire survey of 1,209 farmer households around 12 cities in mainland China. 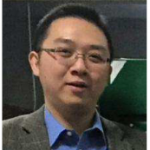 Yiming Wang is currently a senior lecturer (associate professor) and programme director of MSc Public Policy based in the School for Policy Studies and Centre for Urban and Public Policy Research at the University of Bristol. He received his PhD in 2011 from the Sol Price School of Public Policy at the University of Southern California in the USA. He also holds a Master in Applied Environmental Studies from the University of Waterloo in Canada and Bachelor in Economics from Fudan University in China. Yiming’s academic interest is mainly in economic and social policies relating to the urban built environment, including land use, housing, transport infrastructure, and commercial property development. 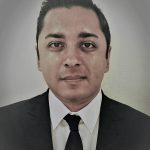 His research work involves the application of both quantitative and qualitative methods, featuring an international comparative perspective and the use of geographic information systems (GIS) to analyse empirical data for public policy research. International History of East Asia Seminar. L. Odila Schröder, University of Nottingham: ‘Treasonous Repertoires? Performing “Greater East Asia” in Occupied Beijing (1937–1945)’. Vivien Chan, University of Nottingham: ‘Assembled in the Street: Hawkers and Spatial Occupation in the 1950s–1980s Hong Kong’. An early version of the Qièyùn切韻was compiled by Lù Fǎyán陸法言(581?-618?) in 601. As the famous Preface to this work makes beautifully clear, this was a labour of love, written in memory of a good time that had been had together with a number of specialists in matters of the different pronunciation of Chinese. Being the first known work making an effort to create a unity for the language by providing pronunciations for Chinese characters and classifying them under tones, rhymes and initials, it holds an important place for autochthonous linguistics in a broad sense. If there ever was one 'original Qieyun' then that Qièyùn was certainly lost long ago. But we now possess different versions discovered in Dūnhuáng and Turfan, at the beginning of the 20th century, of what could be Lù Fǎyán’s text, as well as some enlarged or annotated versions. A detailed analysis of these fragmentary manuscripts will first provide a better understanding of the nature of the original Qièyùn. It will help us grasp the main differences between the original Qièyùn and later versions such as Kānmiù bǔquē Qièyùn 刊謬補缺切韻 (706), and Guǎngyùn 廣韻 (1008), as well as the differences between words, pronunciations and characters’ dictionaries. Françoise Bottéro shall discuss problems concerning the consequences of taking the Qièyùn as representing the 'ancient language', for the study of Chinese modern languages, before eventually discussing the original approach the Qièyùn offers for the study of manuscripts. Compared to many other manuscripts dating from earlier periods, we know the author and the precise date when Qièyùn was compiled, yet we can find a wide production of manuscripts baring the same title. The Qièyùns can therefore offer useful insights into the ontogenesis of early Chinese lexicographic works and the transformation of a scholarly labour of love into Examination System handbooks. Françoise Bottéro, is a research fellow at the French National Centre for Scientific Research (CNRS) director of the Center for Linguistic Research on East Asian languages (CRLAO) in Paris. A specialist of the history and analysis of the Chinese writing system, from ancient times to modern days, she has been exploring the particularities of the Chinese script related to its semantico-phonetic nature such as graphic variants or tabooed characters. Her work includes a book, Sémantisme et classification, analysing the history and development of the original system of classification of the characters into « radicals », a book in collaboration with Christoph Harbsmeier, Chinese Lexicography on Matters of the Heart: An exploratory commentary on the heart radical in Shuō wén jiě zì 說文解字 (2016), different studies on early lexicogaphic works, the earliest Chinese theories on the script, legends concerning the invention of writing in China as well as some terminological problems.